Here are a few ministries we provide within the community. We hope you feel called to join us! Trinity Hope House--This is a project which is being "put on the front burner" due to the desperate need of shelter for those living out in the elements. Trinity Hope House will offer showers, temporary sleeping arrangements, meals, and hopefully show them that they have value, and that there is a better way of life. We hope to offer free medical, dental, counseling and legal service, as well as spiritual guidance, depending on their needs. We need to give them hope, and help them to rise up. It started as a committee effort, and is now incorporated and has applied for 501(c)3 and tax exempt status. Board meetings are open to the public and are held the 4th Saturday each month at 10 am, 442 Glen Rd., Weaverville. Acts of Faith Ministry seeks to provide assistance to our local community members in need, in whatever way God directs; whether it be to provide transportation, help with grocery or other shopping, changing a light bulb, minor maintenance, home visits, etc. This ministry is mainly directed toward the elderly and disabled. If we are aware of a need we are not able to fulfill, we will refer the person to someone local who can help. The whole purpose is to help each other as Jesus directed in the Gospels. For more information please call 530-598-0679. We are called to make visits to people who don't get any visitors, or who are close to death, or to people who know us and have requested us to come. We pray, read to them, chat, see to their needs in whatever way God leads. Long Term Care Facility Bible Study and visits-- We are honored to be able to bring God's word to those who are hospitalized long term; many are in the last few years of life. We sing hymns, read scripture, pray, and share stories with the elders. Annual Breakthrough Conference-- Every year on the last Saturday of June we hold a conference with speakers and worship musicians from within Trinity County and from other areas. This takes a lot of organization, travel arrangements, publicity (design and printing), scheduling, sound technicians, set up and clean up. Please help where God leads you. Jail visits-- occasionally we are asked to provide pastoral care to someone who is incarcerated in our local jail. We listen, pray, read scripture and offer compassion. 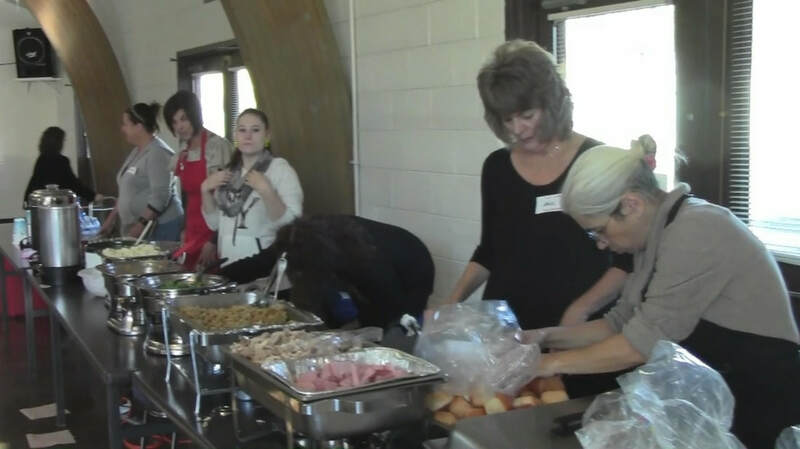 Free Community Thanksgiving Dinner-- We, with the help of many within the community, serve a free Thanksgiving dinner for the community. This is to encourage unity within the community. We always need finances, food, cooks, servers, help to set up and clean up, and prayer partners who will come and sit and talk to people, showing them the love of Jesus.